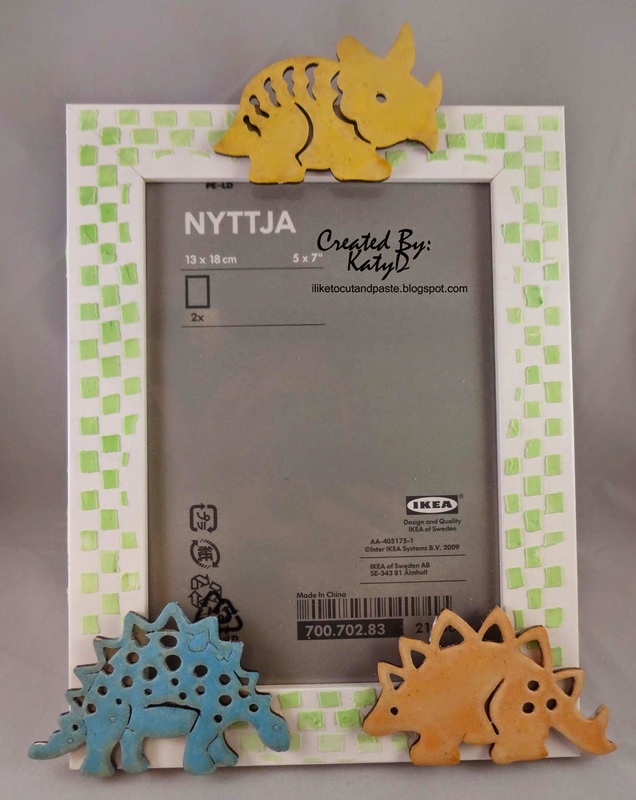 I took an IKEA frame and decorated it with light modeling paste and these CUTE dinosaurs. 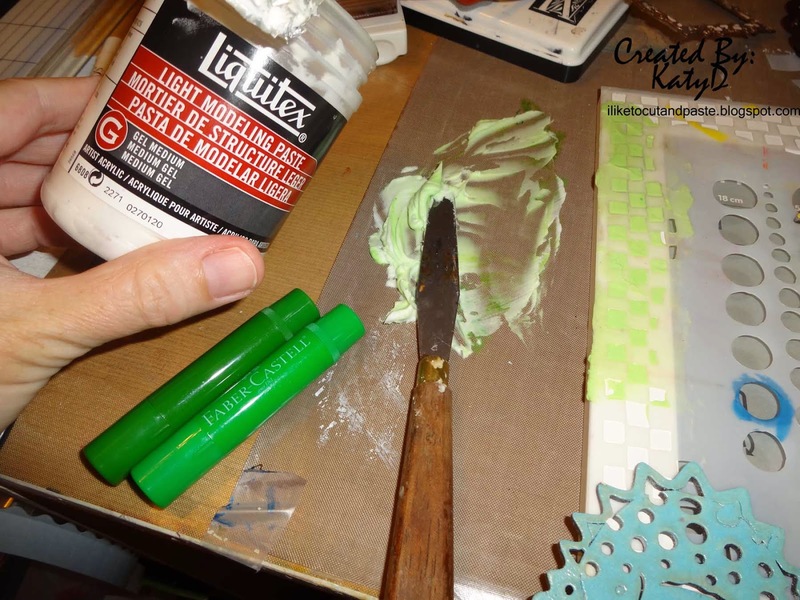 I used Lime Lime and Green Tea Gelatos mixed with the paste and a stencil from Dylusions. 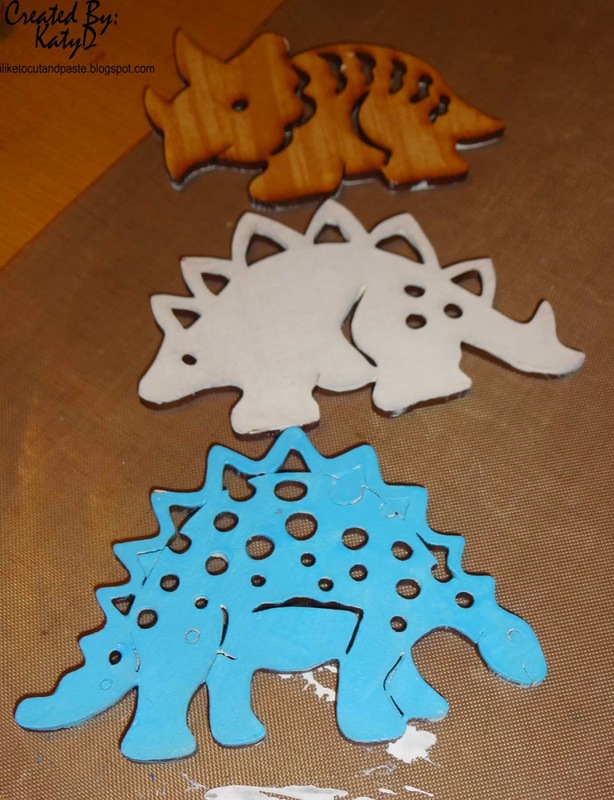 Here are the dinosaurs in the various stages: top-natural wood, middle-gessoed, and the last one is painted with salty ocean distress paint from Tim Holtz. Here are the other two painted with crushed olive and spiced marmalade distress paint. 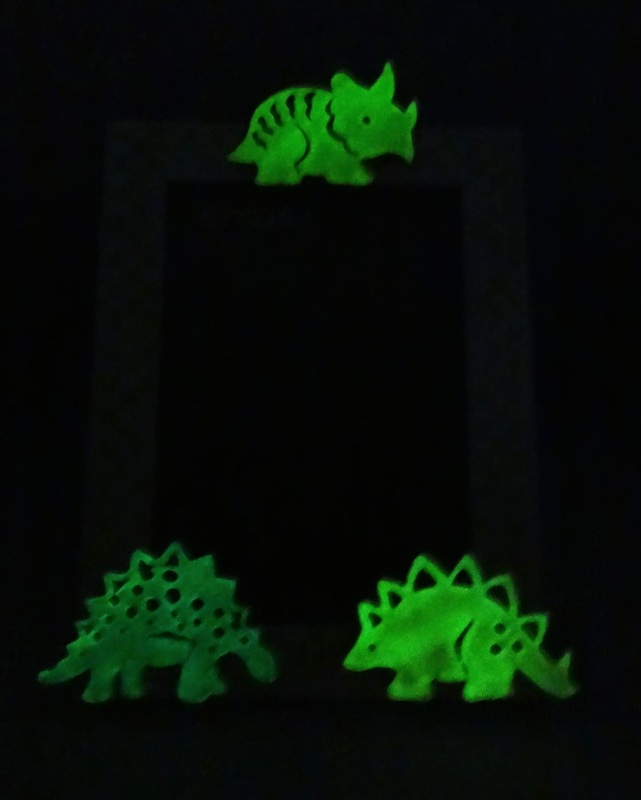 Next I used Sparkle N Sprinkle's Glow in the Dark Embossing Powder for each dinosaur. I used Versamark, covered, and heated like regular embossing powder. I did this process twice to make sure there the whole dinosaur glowed. Isn't that so cool!! 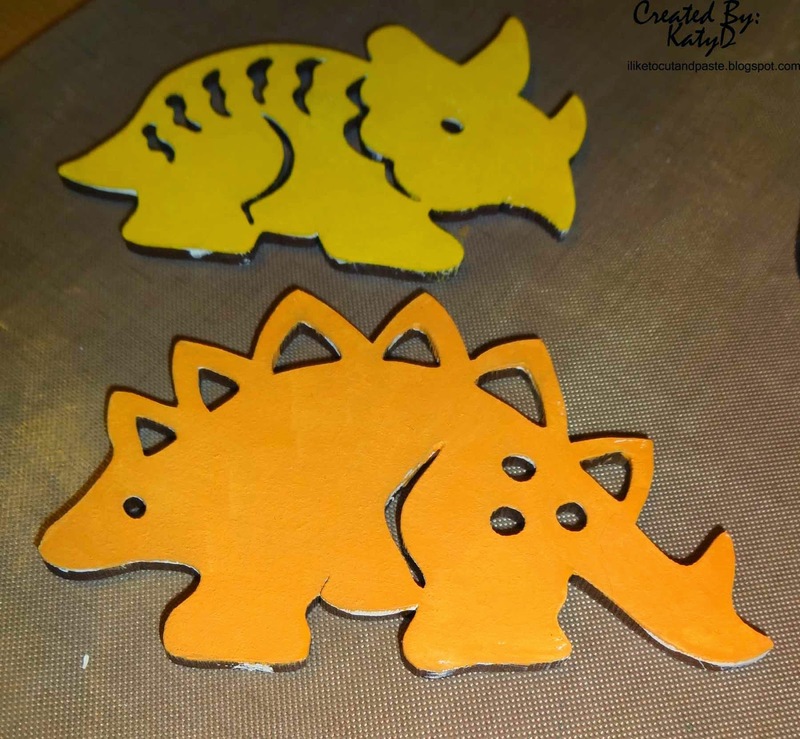 The shapes are so awesome that there is no denying those are dinosaurs! 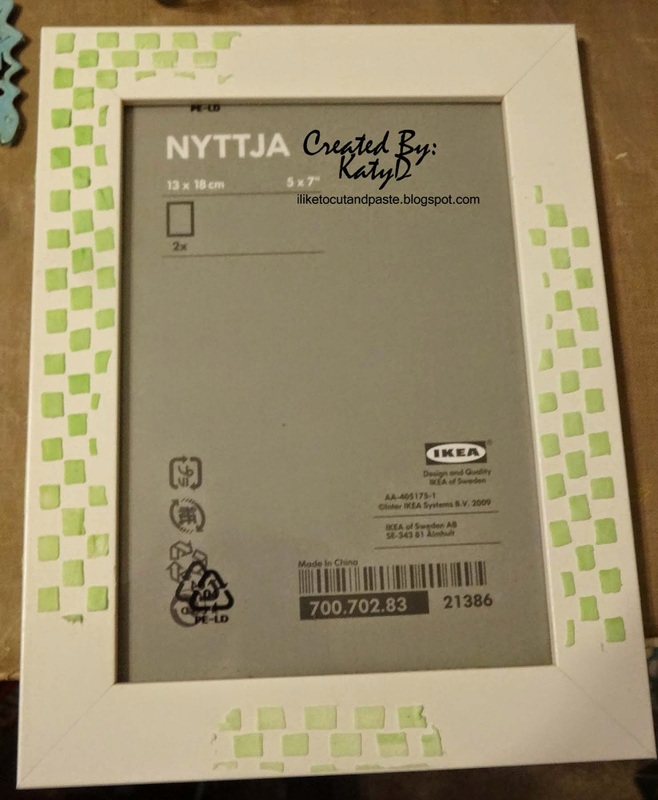 I am entering this frame in the challenge at Sparkle N Sprinkle: anything goes with loose glitter, embossing powder, and/or flock. Sooooo cute!! LOVING those dinos!!!! WOW! This is so cute and clever and would be perfect in any kid's room. Love that Glow in the Dark embossing powder. So glad you shared it with us for the Sparkle N Sprinkle Creative Challenge. Love this! I had no idea you could go over a color (for day time) with the glow in the dark ep. I'm going to be checking this out! Thanks for sharing with us over at the Creative Challenge at Sparkle N Sprinkle. Ah.. too cute! I need to try these for the boys! 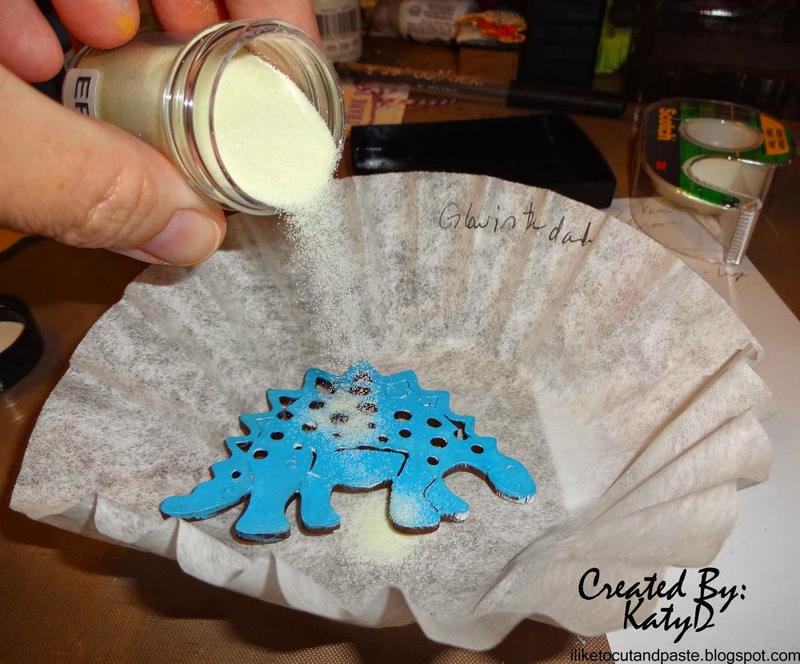 What a super fun project :) I will have to try this out ! Pinned! Great job, like this dinos frame! So fun picture frame. Love your dinos. Thank you so much for sharing your awesome project with us at Sparkle N Sprinkle. Love love your frame! It's is a fun-tastic idea: I have pinned it! !